THIS HOME HAS SOLD! Beautifully landscaped & immaculate home has so many extras! Barely lived in! This home offers 3 bed/2.5 bath, open floor plan with gorgeous hardwood floors, 9 foot ceilings, high quality cabinets, and stainless steel appliances & sink. Large master suite with walk-in closet & soaking tub. Instant hot water pump for immediate hot showers/baths! Nice fenced backyard has a covered patio and ceiling fan, sprinklers front & back, exterior pre-wired for lights. Enjoy the walking trails in the neighborhood, parks, and basketball courts! View today, won’t last long! 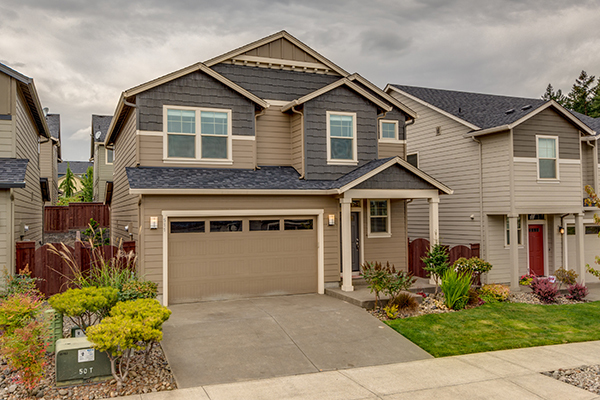 Although this home has sold, call Nathan Cano’s team at (360) 823-3333 or contact us today to see other homes currently available in Pioneer Canyon! Megan Dodson is such a caring and professional real estate agent. She listened carefully, responded quickly, and was a true advocate for us on the purchase of our home. I am truly impressed with both Megan, and the Cano Realty team. Thank you all! All I can say is all star service. Kelly was the man and made selling my house a lot easier then my family expected. He came up with a game plan and got us what we needed and was straight up honest and was always there when we needed him. Even after our house sold and closed he still took time to help me with questions I had with a new house up north. I had a rough start looking for a home for my family. We were using a different realtor & decided to switch to Megan Dodson because she was very familiar with the area where we wanted our home. She was excellent to work with easy going & very confident that we would find our home. She was right! Less than a month later we found it & now we’re home, thanks to her help. Nathan has always been very detailed and has prepared us with options. He is always optimistic which we appreciate. He has a very relaxing personality. We look forward to closing a deal with him in the near future. Nathan is professional and great to work with. We had heard great things about Nathan and his team, we were pleased to have all them true. Their marketing is excellent and I believe it is a key part to them selling houses quickly.